Doompeak Tunnelers – MML Blitz! The Doompeak Tunnelers are a collection of the most evil beings that exist beneath Doompeak. When not hunting down and killing remnants of dwarf clans in the surrounding area, they come together to take part in professional blood bowl games. 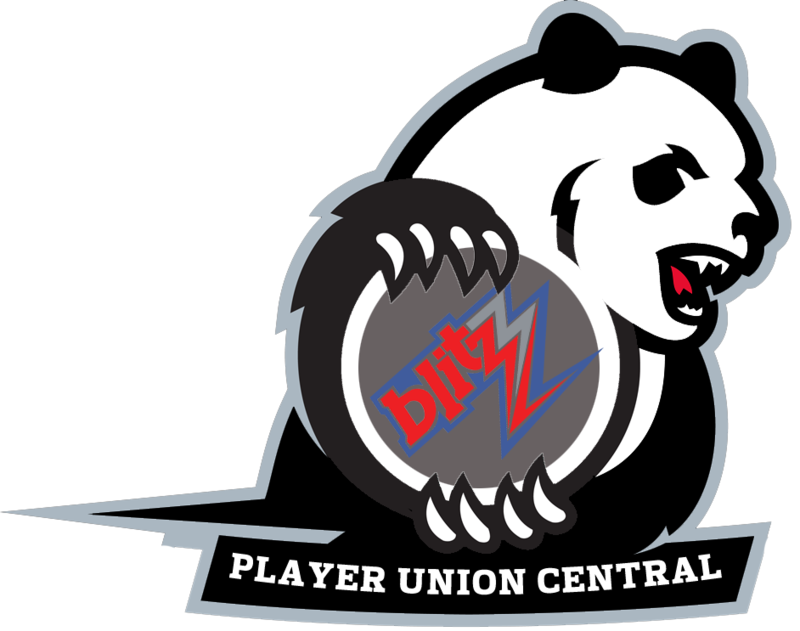 Their debut season began in 2018 and play in the Southern Conference of the Blue Division. They play their home games at No Man’s Land, situated in the heart of the city above the underground tunnels that they inhabit. Doompeak was once a dwarven outpost. At the height of their empire they had firm control over all the mountain regions of the Old World. However, the wealth that they amassed brought envy from other races and soon they were beset across their entire empire. So it was too at Doompeak. The colony was attacked again and again by orcs, goblins and skaven. Still they managed to resist them all until they were attacked by their chaos kin. Sensing the opportunity this presented, the remains of the orc, goblin and skaven armies attacked from underground. The dwarven forces were overrun and few survived to escape. The 3 armies met underneath Doompeak in what looked like it would be a massive battle, with the spoils going to the victors. However, the leaders of each army agreed to a truce and decided there was a better way to settle the dispute. They brought out the capture dwarves and played blood bowl against them. However, the dwarves were unarmoured and in turn had to play each of the races to see who won by the most. The dwarves lost every game but managed to kill some of the opposition in each game. No referee was in place for the games so the use of weapons was not banned at the end of a drive. By the end of the 3rd game the dwarves were all dead and the scores in each game decided how much of the city and treasure each race would collect. To this day the races continue this tradition to maintain peace between the 3 races to avoid future conflict. These private matches are held below ground. When participating in MML Blitz, the match is played in the remains of an ampitheatre the dwarves had built in the city above ground. The team name was argued about for many months by the ruling lords of the races. Eventually they settled on the Doompeak Tunnelers. Because! It’s what they do and how they all met. Each season the team is ruled by 1 of the triumvirate and it can a great impact on their style of play, as they tend to heavily influence what players are represented in the team. Grasnak Smelter – a chaos dwarf lord with an interest in the finer things in life. He covets ancient treasures, favourite food is quail eggs and likes to relax listening to string quartets. Sneeki Backstabber – this rather large goblin has got a reputation for being cunning and having a big appetite. Often hoovers up the left overs that the players don’t eat at the half time interval. Scrit Tailwhip – an incredibly intelligent and strong rat ogre who has a split personality. Scrit is affectionate and loyal and favours his favourite clanrats with sweets and tasty nibbles. Tailwhip eats them! The team’s primary logo is a Blood Bowl ball with 8 arrows pointing out from it, representing the 8 species that make up the coalitiion. The team’s primary colour is white. All the better to see their opponents blood on. The team mascots are a act of 1 of each race. Orc, goblin, troll, skaven, chaos dwarf, hobgoblin, ogre and knoblar all combine to put on a performance combining circus, slapstick and serious drama pieces during the half time break.